The talk test may be a breath of fresh air for future measurements of intensity. Within the fitness industry, many professionals recognize that cardio programs built around the mathematical concept of maximal heart rate (HRmax) have inherent limitations. While many different HRmax formulas exist, the traditional 220 − age has been an integral part of our cardio culture for over 35 years. Researchers have examined the age-HRmax relationship and demonstrated significant standard deviations (SD) associated with these formulas, especially the 220 − age equation (Londeree & Moeschberger 1982; Tanaka, Monahan & Seals 2001). For example, this formula has an estimated error of 12 beats per minute (bpm), implying that for one SD of a population (~68%), the true HRmax can fall about 12 beats on either side of the calculated number. Take 95% of a population (2 SD) and that error can double to about 24 beats. Not only does this introduce the potential for over- and under-training when using % HRmax guidelines, but it also fails to accommodate for discrepancies in resting heart rate (RHR). An individual with an RHR of 50 bpm will have to train harder to reach 140 bpm than a person with an RHR of 75 bpm. HRmax formulas have myriad other problems—such as the effects of altitude, genetics, conditioning status and exercise modality—associated with them. The American College of Sports Medicine (ACSM 2010) now recommends using alternative formulas with smaller SDs, but given the inaccuracies, it may no longer make sense to use HRmax at all. Since the body subscribes to the principles of overload and specificity, it seems sensible to consider a shift in programming to methods that minimize errors and more accurately reflect our unique metabolism. This might improve the chances of targeting our goals for health, fitness or performance more effectively. There is a prevailing mentality that in order to effectively promote weight loss, it is best to exercise hard and maximize total caloric expenditure during a workout (concept of caloric quantity). This method largely ignores the overall exercise experience (an influential driver of exercise attrition) (Gibala & McGee 2008) and fails to consider the concept of caloric quality (i.e., what fuel is being burned). Which is more important? The debate continues as researchers draw different conclusions based on individual study designs. In a perfect world, we want to achieve both caloric quantity (total number of calories) and caloric quality (absolute calories, not percentage, coming from fat). For endurance athletes, this spares glycogen and saves unwanted muscle breakdown, helping them finish their race. For exercise participants, it means burning more fat during exercise and throughout the day. Diet has the greatest influence on what fuel we burn, but providing the appropriate training stimulus can influence how we use fuel both at rest and during exercise (Melanson, MacLean & Hill 2009). Training hard burns carbohydrates and creates adaptations that improve our glycolytic capabilities, while also improving our ability to tolerate lactate and to efficiently convert it back to usable forms of energy. Another adaptation is increased muscle glycogen storage, but for every gram of glycogen the body stores, it must also retain approximately 2.5 grams (g) of water with it. Expanding the “tank” while adding a little weight may be great for an athlete, but it’s probably not the goal of weight loss clients! In light of mixed opinions between high and low intensity, some researchers have turned to alternative methods to measure metabolic markers to map an individual’s unique metabolic process and changes. Ventilation markers—volume, breath rate and ratios of CO2 (carbon dioxide) to O2 (oxygen)—have long held the key to understanding metabolism and fuel utilization, while newer research has examined the significance of the talk test. Researchers have discovered that the talk test represents an important metabolic event—the point where we shift our primary fuel from fats to carbohydrates (Persinger et al. 2004; Dehart et al. 2000). With fats (favored at lower intensities), the O2 quantity used is greater than the CO2 quantity produced. However, with glucose (favored at higher intensities) the ratios appear equal although we’re using O2 at faster rates. With fats, the cardiorespiratory challenge lies with inspiration, not expiration. This is because less CO2 is produced in fat catabolism than in carbohydrate catabolism, and therefore a lower respiratory response is needed. Increasing tidal volume. (i.e., breathing more deeply) meets the demand for additional O2. As CO2 does not present a challenge, the expiration phase remains passive, and the ability to talk should not be compromised. With glucose, the cardiorespiratory challenge lies with both inspiration and expiration, given the equal amounts of CO2 produced and O2 used. While O2 demands are met through tidal volume, the challenge to remove CO2 is met by expiring forcefully and rapidly. The expiration phase now becomes active, and the ability to talk becomes compromised. Additionally, as intensity increases, so does lactate production, necessitating increased buffering, which producs additional CO2. The transition, or crossover, point where we shift our primary fuel from fats to carbohydrates is the Ventilatory Threshold One (VT1). It represents the point where the body is losing aerobic efficiency (i.e., the capacity to continue using fats as the primary fuel) (see Figure 2). Effective programs aim to push VT1 (caloric quality) into higher intensities (caloric quantity) and optimize aerobic efficiency. Note that as aerobic efficiency improves, blood volume expands by up to 20%. This increases the quantity of lactate buffer in the blood. 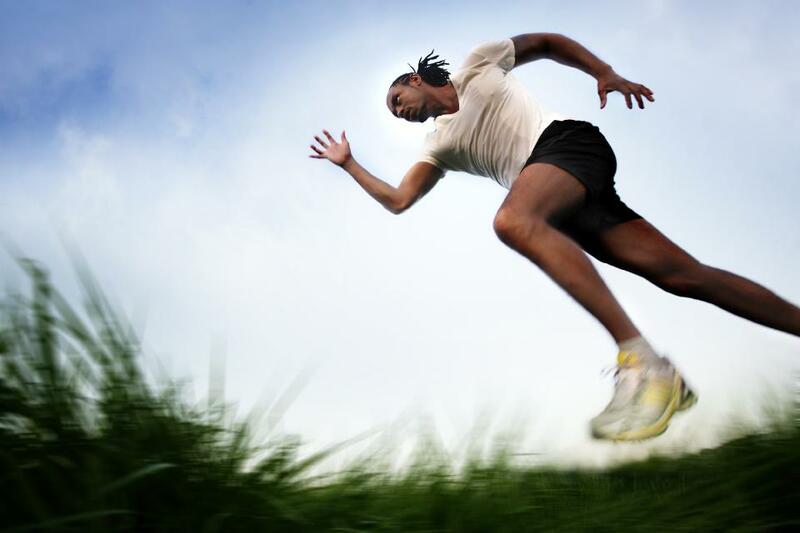 Hence, aerobic efficiency should be considered a prerequisite to anaerobic performance. 1. Select something you can recite from memory (e.g., Pledge of Allegiance). 2. Practice the talk test by talking out loud continuously for 20 seconds and identifying your degree of difficulty with talking. “Easy” implies no noticeable challenge or limitation to your talking ability. “Challenging” implies noticeable breathing (visible and audible); talking is compromised by the need to breathe (i.e., sentences begin to sound choppy and slightly forced). “Difficult” implies labored breathing, making sentences very short (perhaps just words) and forced; the expiration phase is very forceful. 3. “Pre-script” your test—identify work stages (increments and durations) that elicit steady-state HR at each workload, aiming for increases of 5–10 bpm between stages to capture VT1-HR (e.g., increases of 0.5–1.0 miles per hour [mph] per stage). The week before conducting your test, you may need to estimate what level of workload change (i.e., speed, grade or watts) will result in your HR increasing 5–10 beats. For example, during your first week of doing some cardio, you may be running at 5 mph yet wish to bump up to 5.5 mph or 6 mph for a few minutes to measure your HR change. By “pre-scripting” the forthcoming test, you will know what incremental increases are needed in your test to elicit an increase of 5–10 bpm. Programming to improve aerobic efficiency with VT1-HR involves a simple two-zone model with Zone I less than VT1-HR and Zone II greater than VT1-HR. To simplify matters, use 10-beat increments to define your zones, as illustrated in Figure 3. While intensity is perhaps the most effective means of inducing overload, it is also associated with higher attrition rates. Consider progressing with training volume first, keeping the client’s needs and availability in mind. The overall objective is to gradually increase the Zone II volume (number of sessions × exercise duration in Zone II), progressing overload to move VT1-HR higher as the body adapts (typically begins within 2–3 weeks). Plan on developing a 4- to 6-week training microcycle that includes 12–15 cardio sessions, after which you should reassess VT1-HR. This time frame should be sufficient to demonstrate a VT1-HR shift, after which you can adjust the training model to reflect this new marker. For example, a VT1-HR shift from 140 bpm to 145 bpm will adjust Zone I to 135–145 bpm and Zone II to 145–155 bpm. Increase number of repetitions to fit within allotted workout time (F). Increase exercise intensity—this is established as Zone 2 (I). Lengthen work interval or volume (V). Identify which variables it is appropriate to progress first. Volume (total time working in Zone II) may be more appropriate initially and should be progressed by 10%–20% in accordance with ACSM recommendations. For example, if a client completes three sessions per week, each with four 5-minute work intervals, that would total 60 minutes per week. A 20% progression would increase volume to 72 minutes, or 3 sessions × 24 minutes of work (e.g., 4 × 6-minute intervals). Finding more effective strategies and solutions that help clients reach their goals will always translate into greater success. Use this knowledge to positively impact your business by achieving greater results! With a better understanding of the scientific principles of metabolism, you will be better able to tackle greater challenges by understanding the why,< and you’ll separate yourself from those who care only about programming the how. Week 1 volume = 3 x 20-minute work (Zone 2) = 60 minutes. Week 2 volume = 3 x 24-minute work = 72 minutes (20% increase). Week 3 volume = 1 x 25-minute work + 2 x 30-minute work = 85 minutes (18% increase). Week 4 volume = 4 x 25-minute work = 100 minutes (18% increase). Want more from Fabio Comana? ACSM, 2010. ACSM’s Guidelines for Exercise Testing and Prescription. Philadelphia: Lippincott, Williams & Wilkins. Dehart, M., et al. 2000. Relationship between the talk test and ventilatory threshold. Clinical Exercise Physiology, 2, 34–38. Fox, S.M., Naughton, J.P., & Haskell, W.L. 1971. Physical activity and the prevention of coronary heart disease. Annuals of Clinical Research, 3, 404–32. Gibala, M.J., & McGee, S.L. 2008. Metabolic adaptations to short-term high-intensity interval training: A little pain for a lot of gain? Exercise and Sport Sciences Reviews, 36 (2), 58–63. Kraemer, W.J., Fleck, S.J., & Deschenes, M.R. 2011. Exercise Physiology: Integrating Theory and Application. Baltimore: Lippincott Williams & Wilkins. Melanson, E.L., MacLean, P.S., & Hill, J.O. 2009. Exercise improves fat metabolism in muscle but does not increase 24-h fat oxidation. Exercise and Sport Sciences Reviews, 37 (2), 93–101. Londeree, B.R., & Moeschberger, M.L. 1982. Effect of age and other factors on maximal heart rate. Research Quarterly for Exercise & Sport, 53, 297–304. Persinger, R., et al. 2004. Consistency of the talk test for exercise prescription. Medicine & Science in Sports & Exercise, 36 (9), 1632–36. Tanaka, H., Monahan, K.D., & Seals, D.R. 2001. Age-predicted maximal heart rate revisited. Journal of the American College of Cardiology, 37 (1), 153–56. Faculty Instructor for the National Academy of Sports Medicine (NASM), and faculty in Exercise Science and Nutrition at San Diego State University. Fabio was an exercise physiologist and certification manager for the American Council on Exercise (ACE) where he, during his tenure, was the original creator of ACE’s Integrated Fitness Training Model™ and lead developer of their live personal training educational workshops. 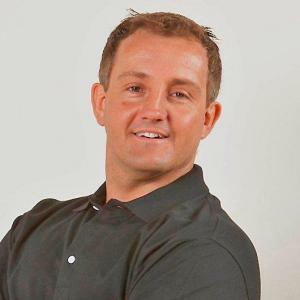 His previous experiences include collegiate head coaching; strength and conditioning coaching; and opening and managing health clubs for Club One. As a national and international presenter, he is frequently featured on television, radio, internet, and in print publications. He authored chapters in various textbooks and publications, and is presently authoring upcoming academic and consumer books. ... read more.